If you are a fellow Floridian you are probably familiar with the saying “we live where you vacation” and there is a good reason for it. Florida has a vast array of vacation spots which is great if you are a local looking for a “staycation”. The glorious 3 day weekends where you don’t have enough time to jump on a plane and fly to another state or don’t really care to spend the money for a family of 5 to travel across the country. There are a ton of hidden gems in Florida that are perfect for a weekend staycation or a full blown vacation for Floridians or those from other states as well! First on the list, located just west of Ft. Myers, is the tiny town of Matlacha. A perfect island getaway for rest and relaxation. Maltacha, FL is known as being a quiet fishing town with art galleries, shops and excellent eateries. The city is tethered to the mainland by the “Fishingest Bridge in the U.S.A” over the Matlacha Pass.The area is surrounded by dozens of mostly empty islands ideal for anglers, kayakers and of course island drinks. Just adjacent and almost one in the same is Pine Island which offers a peaceful stay with waterside accommodations in historic hotels with fun for everyone. The land on this 17-mile-long slice of Old Florida is largely home to plantations replete with palm, citrus, avocado and mango trees. With very sparse traffic this island is ideal for cycling on its bike and running path from one end to the other. Next stop is Florida’s Cabbage Key and Cayo Costa. This area is a perfect island for nature lovers, with more than six miles of white sand, shells and Gulf-tossed driftwood. The most well-known place to stay is the Cabbage Key Inn and has 6 rooms in the main building which was a house built in 1928 and converted with the addition of seven additional cottages. If you are looking to sample the surf you can rent a kayak or motorized skiff to check out the nearby Cayo Costa state park which you can also get to by ferry. There is also a rumor that a patron by the name of Jimmy Buffett was actually inspired to write his song “Cheeseburger in Paradise” here. The last stop is a little bit north of Tampa known as Cedar Key. This quaint, old-fashioned, Old Florida vacation spot offers lovely beaches, exceptional fishing opportunities and lush natural preserves. The houses and stores sit on stilts to stay above sea level. The Island city offers excellent food and a vast array of all different kinds of clam chowder from both wild and fresh farm-raised clams from the USA’s top clam producing community. The truth is, all of these destinations have their own unique characteristics that will surely offer a great time for all. I must warn you, once you arrive to any of these destinations you are automatically inducted into “island time”. The question is how will YOU spend it? If you are looking to extend your stay and buy a vacation property in Florida make sure to use the real estate research tools on www.MoversAtlas.com. Finding a place to live typically has a lot weighing on things like amenities, crime rates, school zones, local to a work place and of course cost. Cost is sometimes an interesting topic because each household income varies and what one person feels comfortable paying relies heavily on the persons own circumstances and opinion. For many people living by the beach is something they see as over priced and out of their budget but that isn’t always the case. Going off of the average household income in the U.S being around $51,000 as a bench mark there are still beach cities in Florida that are affordable for the average person or family. The rule of thumb is the more desirable locations are going to cost more but the following list shows some of Florida’s beach towns that are actually affordable! The first one is Indian Harbour Beach which maybe one that even Floridians are not real familiar with. Their motto is “The Greatest little City in Florida” which could be for good reason! The city falls under a more well-known Brevard county but has a small census. The median income in this city is around $56,000 and while this is slightly above the national average this doesn’t drive up the household costs sky high like other beach towns such as West Palm Beach or Ft. Lauderdale. Indian Harbour is a quaint little town with average house sales around $180,000 keeping this beach town as a top candidate. The next destination takes us to the west coast right on the Gulf known for the white sand beaches and warmer waters. Fort Myers Beach is slightly bigger than the last location at a population of 6,277. 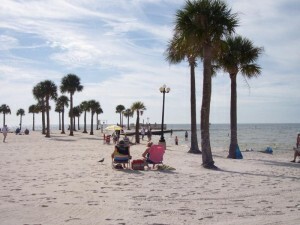 Fort Myers is more of a well-known city under the jurisdiction of Lee County. The town is affordable with the median household sales around $185,000 and all the amenities any beach town has. The location of this town is nicely placed just outside of very desirable areas such a Sanibel and Captiva island which makes it perfect for Saturday afternoon beach days and sightseeing. 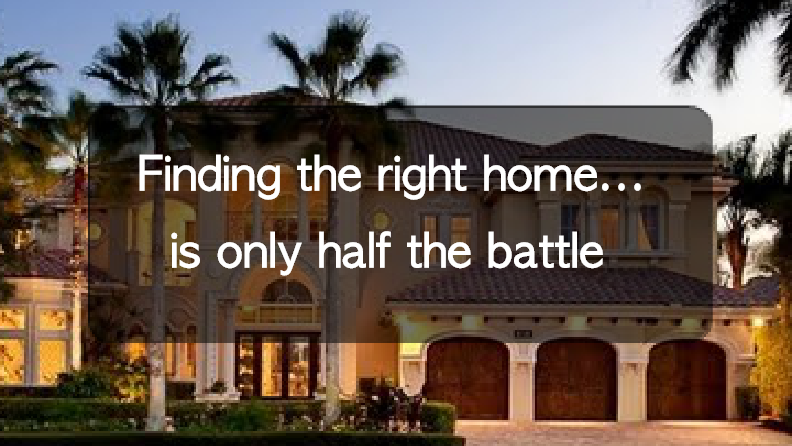 Fort Myers’ economy is rebounding much like the rest of the country but there are still many houses that can be found as outstanding deals. Last but not least in this list goes back to the east coast of Florida. A more well-known city Vero Beach which falls under Indian River County. 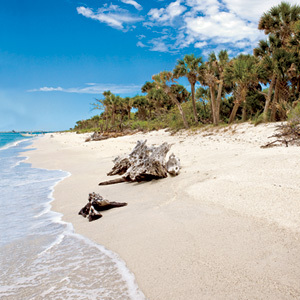 Vero’s motto is “Where the Tropics Begin” which is exactly what you are looking for in any beach town. The town is larger with around 15,000 people with a median household income of $35,000 in 2011. The average houses and condos are selling for around $200,000 and are well known for their intercostal waterway “Indian River Lagoon” excellent for fishing, boating and kayaking. The location is right near the two large shopping malls and specialty shops along the barrier island known as the “Miracle Mile”. 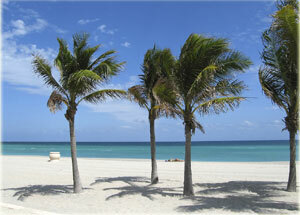 There are many small beach towns in the state of Florida with many different variations in size, population and cost. Coastal living to most may seem unattainable but by shopping carefully there are actually very affordable beach homes still around. By using tools like www.MoversAtlas.com your dream home on the beach or inland is just a click away! If you enjoyed reading this post you will find the main Mover’s Atlas site even more Interesting! 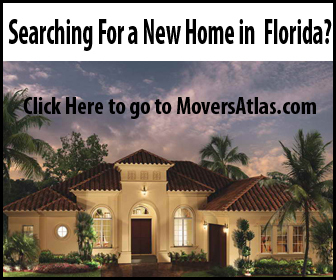 There you can discover important information about what surrounds your current or future Florida home or Apartment, give it a look: Mover’s Atlas.